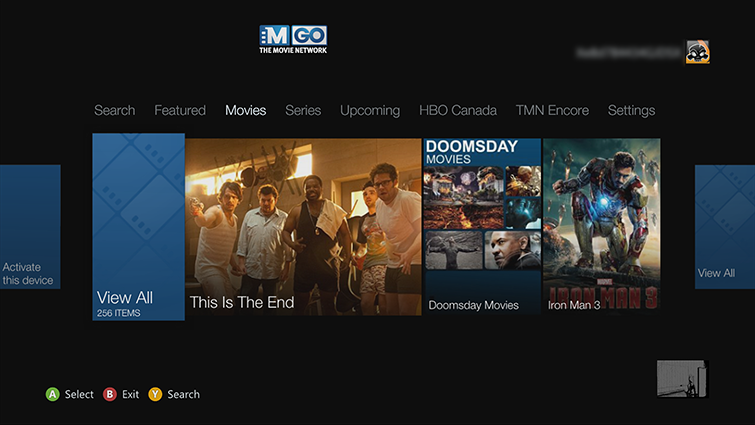 Learn how to install the TMN GO app on your Xbox 360 so you can enjoy movies, TV series, behind-the-scenes extras, and more from The Movie Network and your favorite HBO Canada channels. A subscription to The Movie Network (TMN). Note You can watch movie trailers and free preview content without a TMN subscription. Browse or search for TMN GO. Select TMN GO to download and install the app. To start the TMN GO app later, go to apps, My Apps, and then TMN GO. To get the full TMN GO experience, you must be a subscriber to The Movie Network. (If you don’t have a subscription, you can only watch trailers and free preview content). On the Welcome screen, select Activate this device. The Activate TMN GO screen will display an activation code. Write down the code. Then, select Continue. 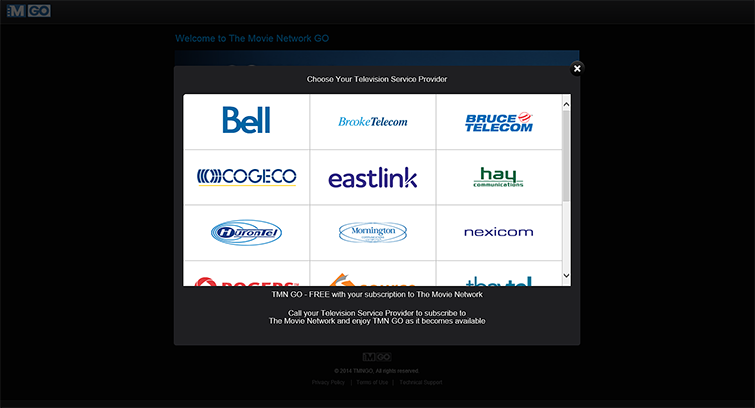 In a web browser, go to tmngo.ca/activate and sign in using your TMN GO credentials. Select your television service provider. Sign in with the user name and password for your account with your TV service provider. 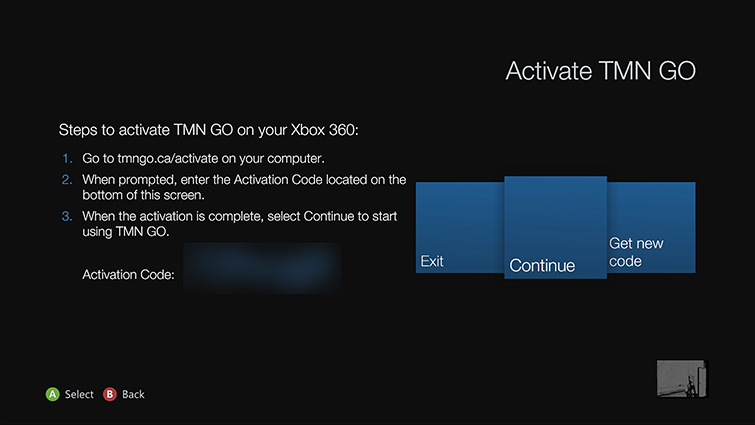 When prompted, enter the activation code displayed on your Xbox screen (in step 3) to complete the activation process. Go back to the Welcome screen on your console and select Continue. After this step, you’ll be able to use the TMN GO app on your console. To start the TMN GO app, go to apps, My Apps, and then TMN GO. You can browse through any of the categories listed across the top of the screen— Featured, Movies, Series, Upcoming, HBO Canada, and TMN Encore. You can also search for content by pressing the Y button on your controller. To un-associate your console and gamertag from your TMN account, go to Settings, and then select Sign Out. To manage your TMN GO account, go to the TMN GO website tmngo.ca and sign in to your account. 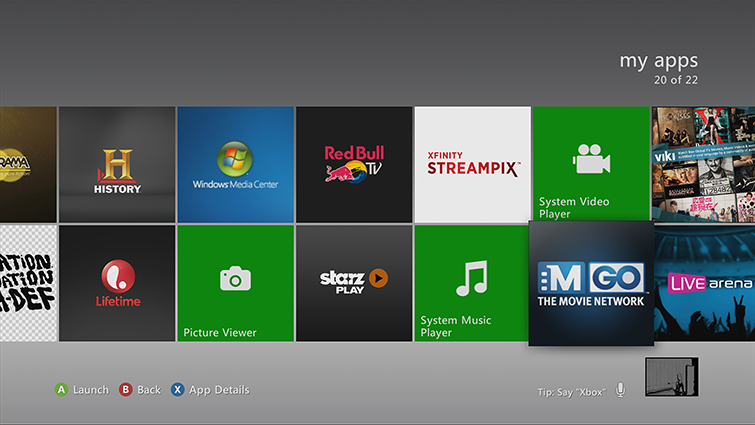 If you use Family Settings to control which movies and TV shows can be watched through Xbox Live on your console, the TMN GO app will follow those settings. For example, if you use parental controls to restrict some kinds of TV programs, those programs will be marked with a “restricted” icon in the TMN GO app. To play a restricted item, an adult must enter the Family Settings pass code. ¿Quieres contactar con el Soporte técnico con referencia al problema "Set up and use the TMN GO app on Xbox 360" acerca del que estabas leyendo o con referencia a otro problema?